← Oh, yeah, I bought that! So, one Sunday afternoon, I sat staring uninspired at an unworn grey Old Navy sweater. I’d bought a grey and a turquoise last winter too (in a 3 for 2 deal), thinking I’d cut them up, and do some kind of color blocking. But, I just wasn’t feeling it………. Back to that bottom shelf in my closet where I keep things that I might do something with (at least that’s what I tell myself). Aha! That spotted cardigan from a Target sale rack. I love it, but it doesn’t look right on me. 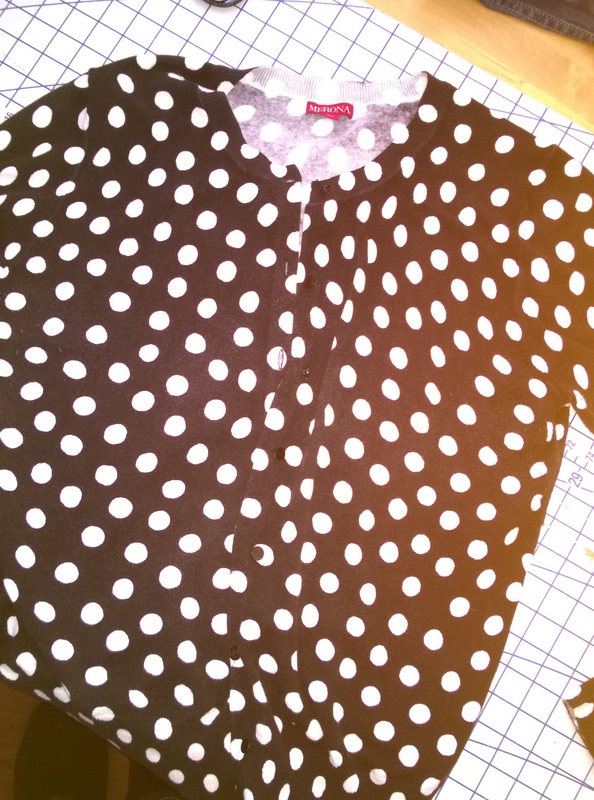 I decided to do a straight switch and simply put spotted sleeves on my sweater. Oh well, Plan B – we’ll go for 3/4 sleeves. 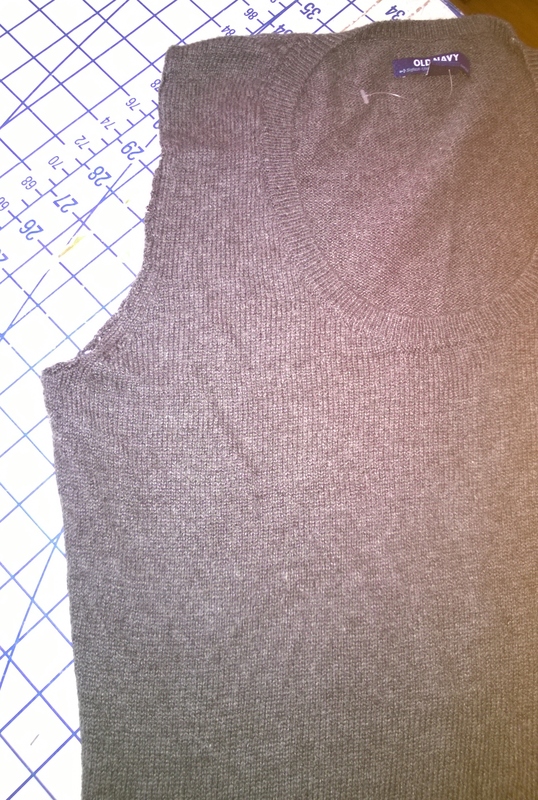 I used the grey sleeve head as the guide to cut my spotted sleeves. 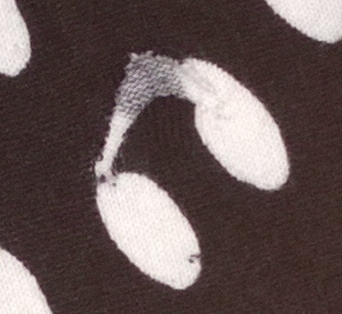 Then just sewed them on with the serger. I tried on my new sweater, but it needed something more. 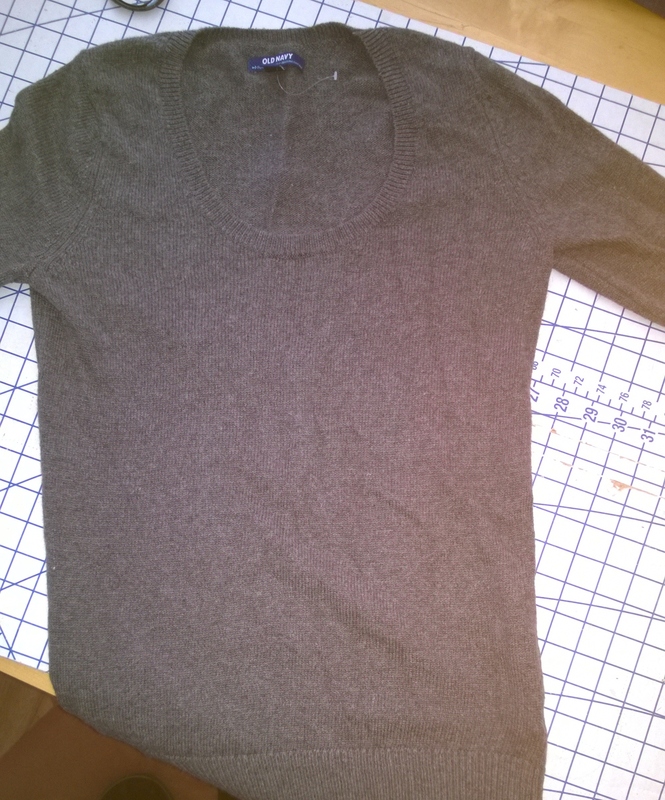 I cut the bottom off, just under the bust and made a tube with a scrap of black knit fabric, doubled it to make a wide band, and…….back to the serger. 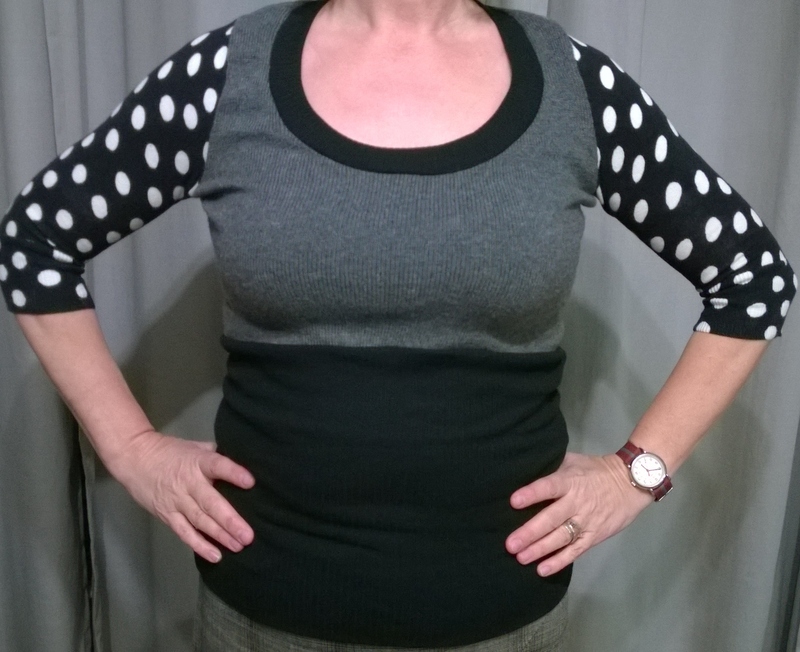 Tried it on again – almost right, just needed a black neckline to tie everything together. Posted in Uncategorized and tagged Old Navy sweater, sweater. Bookmark the permalink.